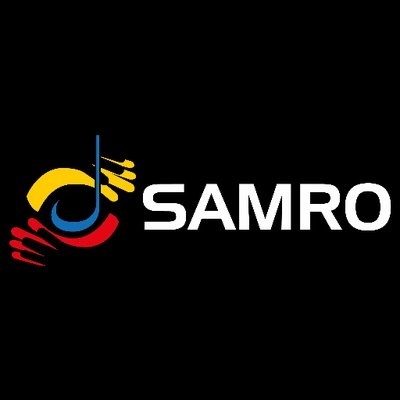 The board of SAMRO is gravely concerned about a failed R47-million investment in a music rights initiative in the United Arab Emirates (UAE). In a statement Issued to the media, SAMRO claims they have recently completed a forensic audit into the investment from which it appears evident that the board was misled into believing it was possible to successfully establish a music rights management agency similar to SAMRO in the UAE, to be known as the Arab Emirates Music Rights Organisation (AEMRO). We are currently investigating a series of legal steps to recover the funds and, where possible, to take action against those involved. We are totally committed to ensuring this happens, to ensure accountability and responsibility. We cannot and will not accept the misuse or abuse of Southern African musicians’ funds, in any shape or form. We are particularly focused on determining how we can recover the money that was used for the AEMRO venture and to ensure that SAMRO members gain maximum benefit from their hard work. We have added additional financial controls and will use the lessons learnt from this project to introduce structural changes to the way management reports to the board, eliminating single points of failure and ensuring the integrity of information presented to the board." SAMRO’s mission statement clearly states that the organization should invest funds to generate more revenue for its Southern African members. The investment was championed by the then-CEO of SAMRO, Mr Sipho Dlamini, and the then-chairman of the board, Reverend Abe Sibiya, in 2014 and involved a number of parties and “consultants” in the UAE. Mr Dlamini resigned in March 2016 without the board being made aware of any material concerns surrounding this investment. Rev Sibiya who was the chairman of the board then stepped into the role of ACTING CEO but also did not raise any concerns immediately. The initial investigation took place 18 months after Mr Dlamini’s resignation and further investigations are underway into the relationship between all the persons directly involved in this project. The nature and reason for payments, if any, made by SAMRO to Mr Dlamini after his resignation, also need further investigation. Although the forensic audit initiated by the current board has taken some time, we believe it was best to ensure a full and proper understanding of what happened -- particularly as some of the current board members were not involved with SAMRO at the time. The audit has shown that the board was not made fully aware of the potential risks involved in the initiative. There were numerous occasions on which the board was not fully briefed on AEMRO, or possibly even misled. Crucial details on costs and contracts were not disclosed, and the board was therefore unable to provide full oversight. The board shut down the initiative when it became clear that the funds spent on trying to establish AEMRO were wasteful and fruitless expenditure.It is clear that the AEMRO investment was a failure, and we have spent a lot of time and resources getting to the bottom of it, in the interests of our members. Although we do not agree with all aspects of the forensic report, and have been constrained by the sensitivity of the process, we respect the findings and are already putting mechanisms in place to address possible shortcomings in the organization’s governance and risk management processes. The board takes the forensic audit report’s recommendations to heart and is totally committed to resolving this matter – and, in particular, to recover the money -- in the best interests of SAMRO members and the music industry as a whole.